Published on February 28, 2016 in Uncategorized. 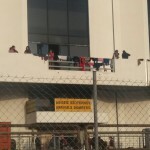 Closed Tags: athens, ellinikon, greece, reception conditions, transit, unaccompanied minors. 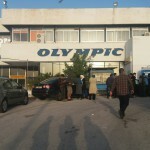 Ellinikon has three spaces: the former airport, a hockey stadium and since today also a baseball field. Currently, there are about 4,000 refugees temporarily hosted there. 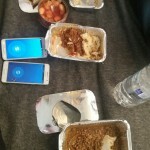 Refugees there complain about the food in the camp: “Its expired. We had to buy ourselves food in order to give to our children, outherwise they would starve. Other people do not have the money though.” Meanwhile hundreds of unaccompanied minors remain unidentified in substandard mass reception centers as this one lacking any protection or special support. Published on April 15, 2014 in Uncategorized. Closed Tags: aegean, greece, new arrivals, transit, turkey. 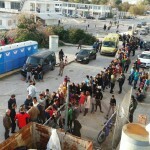 Tuesday 15.4.14 in Kos arrived 7 refugees while one man was shot. The police claims he was the smuggler. Published on January 24, 2014 in Uncategorized. Closed Tags: border deaths, death at border, distress at sea, fortress europe, greece, killing borders, Kusadasi, lostatborder, transit, turkey. At least one refugee was killed and seven others are missing as their boat capsized near Kuşadası coast of Aydın province. 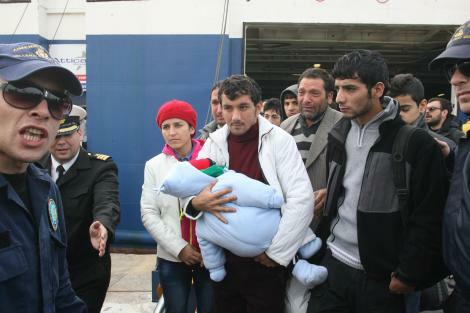 Coast guards could save 11 passengers of the boat, which was carrying 19 refugees. Aydın Governor Erol Ayyıldız said in a statement that the adverse weather conditions could cause the incident and that coast guards as well as a helicopter and four rescue boats are looking for the missing passengers. Ayyıldız said they still couldn’t identify the nationality of the immigrants. Published on July 26, 2013 in Uncategorized. Closed Tags: 2013, amnesty international, border deaths, distress at sea, greece, killing borders, new arrivals, transit, turkey. Separate boating incidents putting the lives of dozens of migrants at risk in the Aegean Sea today are a tragic reminder of the dangers faced by people seeking to reach Europe’s borders, Amnesty International said. A search and rescue operation continues off the Turkish coastal city Bodrum, where a boat believed to have 13 migrants on board went missing early this morning. Also today the Greek coastguard rescued 21 migrants who fell from a rubber boat carrying 46 people near the island of Chios. One of the migrants was unconscious when pulled out of the sea and was later pronounced dead. Published on March 26, 2013 in Uncategorized. 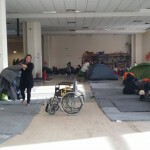 Closed Tags: greece, NEWS, refugee, syrian, transit. Syrians are currently the second-largest refugee group to cross illegally into the European Union. Most of them arrive in Greece. DW’s Marine Olivesi accompanied one Syrian-Palestinian family on their arduous adventure. Sixteen Syrians minus a baby girl are putting their shoe laces back on. 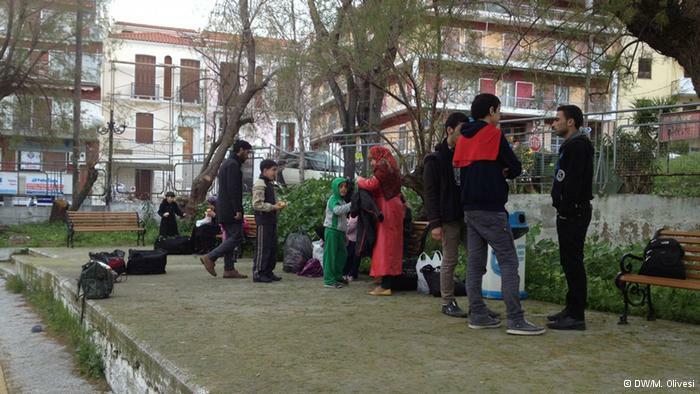 The extended family has just been released from the police station of Mitilini, on the Greek island of Lesbos. “Bad food,” answers one of the teenagers. Published on November 5, 2012 in Uncategorized. 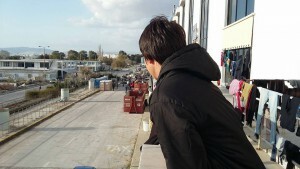 Closed Tags: greece, igoumenitsa, iraqi, NEWS, racist attacks, transit. 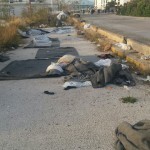 In the early hours of 5 November, a 31 year-old irregular migrant of Iraqi origin was attacked with a knife by a 50 year-old Turkish truck driver at the new port of Igoumenitsa. The incident occurred when the driver realised that the irregular migrant was trying to hide in the truck in order to pass through the port of Igoumenitsa to Italy. The Iraqi migrant was transferred to the General Hospital of Filiaton, while the driver was arrested by Greek police and prosecuted for grievous physical harm and the use of a weapon.